Riza Gultekin is a final year medical student at the University of New South Wales. This article was inspired by his interest in emergency medicine. He plans to specialise in trauma surgery or critical care. 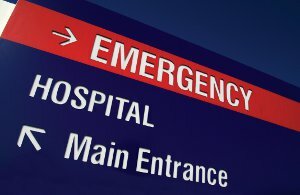 Aim: To outline the socio-demographic characteristics, the means of arrival, management and referral pathways for mental health presentations to the Emergency Department (ED) where the main reason for presentation is self-harm. Methods: A retrospective study conducted in a metropolitan hospital in Sydney. Sampled data were collected from mental health presentations to the ED for the month of May in 2005, 2006 and 2007. The data collected included patient demographics as well as management, referral and follow-up outcomes. Results: There were 606 patients in the sampled data (99.3% of all mental health presentations). The gender distribution of the patient cohort was 63:37 (male n=380 and female n=226) and the average age was 36 ± 16.7 years. Two hundred and three (33.5%) patients had self-harmed and 403 (66.5%) had other mental health problems. Self-harm patients’ mode of arrival included ambulance (38.4%), self-presentations (36.5%), police (14%), and other. Self-harmers were mainly admitted to Psychiatric Emergency Care Centre (PECC) (28%) or discharged home (51.7%). More than one third (35.5%) of self-harm patients did not receive adequate follow-up. Conclusion: Important variations between self-harm patients and other mental health patients were identified in their management and referral outcomes from the ED. Clinicians need to ensure that optimal patient care is provided through appropriate follow-up of every self-harm patient post-discharge from hospital.